The texting ban for drivers in the state of Pennsylvania went into effect in March of 2012. However, though texting while behind the wheel is now against the law, countless drivers continue to use their phones or other handheld mobile devices to send or read messages while driving every single day. Due to their distraction, texting drivers cause hundreds of thousands of car accidents each year, many of which result in serious injuries or even death. Sending or receiving text messages is widely considered to be one of the most dangerous driving distractions because it causes all three types of distraction, as you must reach for and hold your phone, take your eyes off the road to look at the phone, and mentally process the contents of the message. Visual distractions tend to cause the most accidents as drivers often stray from their lane or fail to notice stopped traffic in front of them. Research shows that, on average, it takes approximately five seconds to read or send a text message. This means that at highway speeds, you may easily travel the length of a football field without looking at the road. Almost every driver knows that texting and driving is highly dangerous behavior. If they choose to text and drive regardless of the risk, they are acting negligently by disregarding the reasonable safety of other drivers. If you have been injured by a texting driver, an experienced Pittsburgh car accident attorney can help you recover by filing a personal injury lawsuit. Texting and driving accidents can cause serious injury that may require emergency medical treatment, hospital stays, surgeries, doctor visits, home health care, medications and health supplies, time off work to recover, and more. Some people never recover from their injuries and are left with permanent disability and possibly the inability to work or take care of themselves ever again. Any victim of a texting and driving accident deserves to recover for any and all accident-related losses from the responsible driver. Our attorneys are committed to helping our clients obtain the highest possible award under the law. A Survival action is an action belonging to the estate of the decedent and not to the family members. The Purpose of the Pennsylvania Survival Action is to allow the estate of the decedent to recover monies for pain and suffering suffered by the decedent prior to his/her death and/or suffered by his/her estate. In essence, the estate of the decedent is taking the place of the decedent and is entitled to recovery under Pennsylvania law. The example taught in law school is when an individual is seriously hurt in an accident but does not pass away immediately. Instead, they suffer for a significant period of time. The Pennsylvania Survival Action allows the estate to substitute in the place of the decedent and recover for the actual pain and suffering endured prior to death. Damages recovered under a survival action belong to the estate, and therefore are subject to estate and inheritance taxes. Also, these monies would pass under the decedent’s will to any listed beneficiaries as opposed to the Wrongful Death Statute, whereby the monies are awarded to the beneficiaries of the decedent based upon familial relationship. If you have been injured in an accident caused by a driver who was texting, you deserve to be fully compensated for all of your losses. 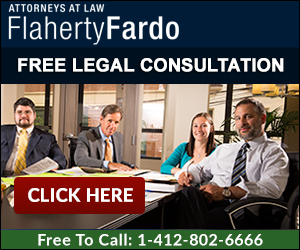 The personal injury attorneys at the Pittsburgh firm of Flaherty Fardo are dedicated to holding negligent drivers responsible for any injuries they cause, and will work to make sure you receive the maximum amount of compensation possible. We offer free consultations for all car accident victims, so do not hesitate to call us at (412) 802-6666 or fill out our online contact form on the right side of the page. Let Us Help Please explain how the accident / injury occurred?